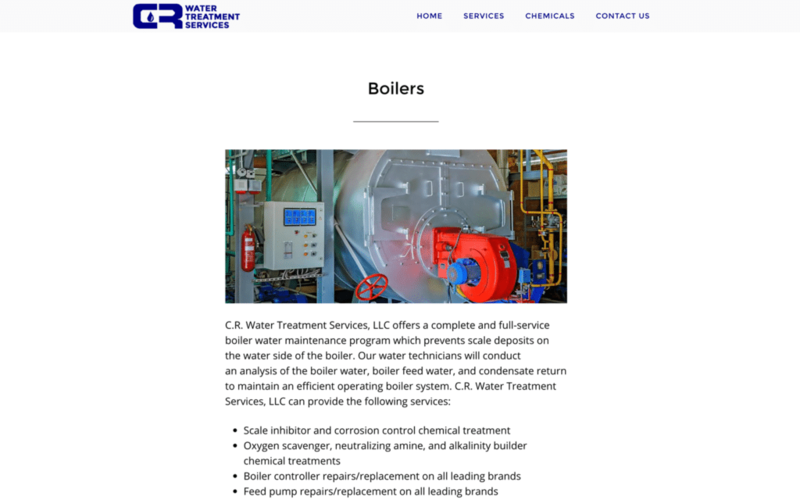 CR Water Treatment is an Orlando based water treatment solutions company that sells water softening systems to commercial businesses and homeowners. Every few years businesses should update their website to the newest standards. CR Water Treatment needed a new design and better customer experience. 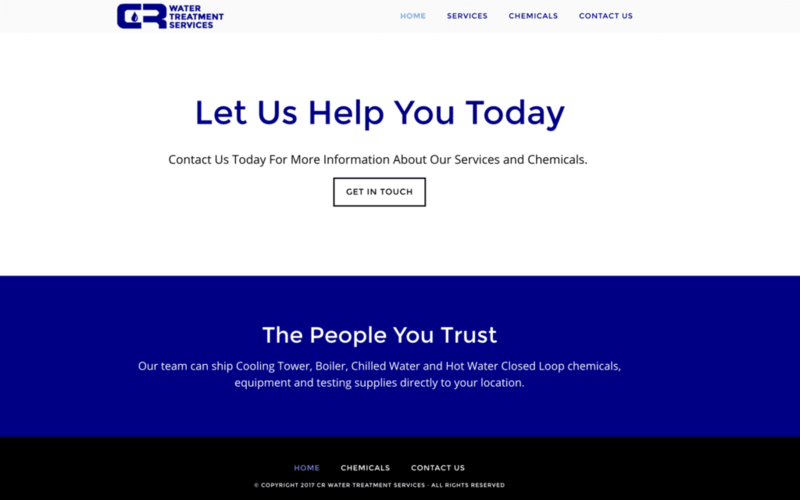 They wanted to make sure that the usability of the website made logical sense and allowed for better customer conversion. Understanding the need for a spruce up and better usability on the go via mobile devices, we built a site that is easy for customers to use. 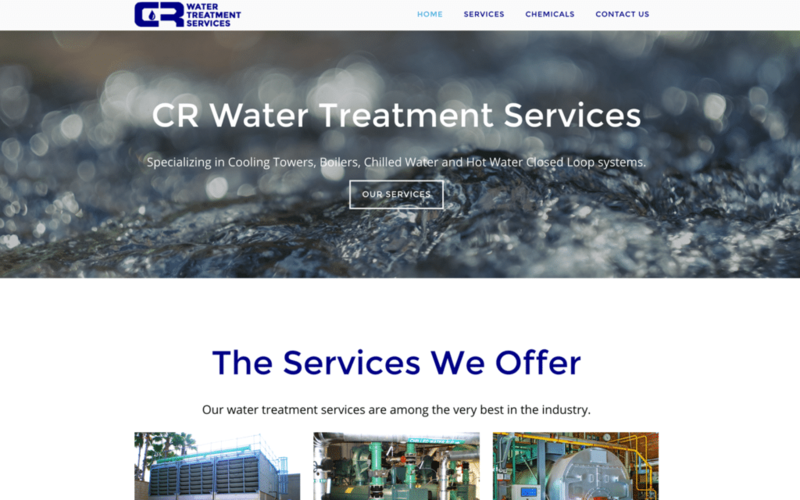 Clients can now see treatment services and chemicals that they might need for ongoing maintenance of their water treatment units.